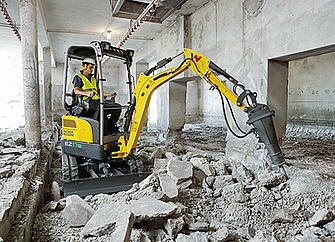 Why choose a crawler excavator? Why choose a rubber-tired excavator? What size of excavator should you choose? What is a walking excavator? An excavator, also called a hydraulic excavator, boom excavator or power shovel, is a machine consisting of a wheeled or tracked carrier frame on which a swiveling turret rests that connects the operator’s platform, engine, hydraulic systems and arm. The arm roughly imitates the movements of a human arm and allows the use of different tools, the most common is an attachment to dig the ground, but an excavator can also use rock breakers, pincers, grapples, handling forks, demolition tools, etc. This versatility makes the excavator an essential piece of equipment for earthworks on construction sites, but also for the handling of bulk materials, demolition, mining and quarrying as well as forestry. 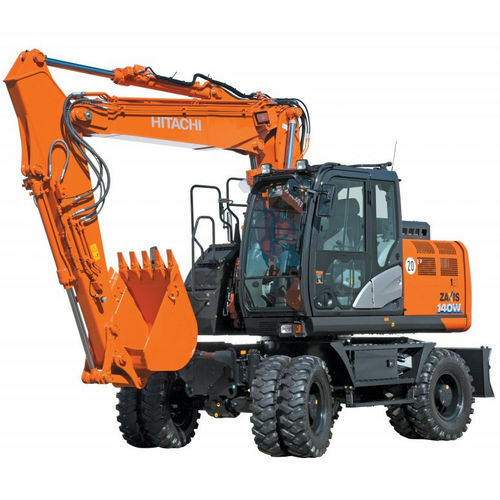 There are two main families of excavators, excavators equipped with wheels and those equipped with tracks, both of these configurations have their advantages and disadvantages and you will first have to determine which one is best suited to your needs. Demolition excavators have arms that have been extended to reach the top of the buildings with their demolition tools and their cab is generally protected from falling materials and can be tilted upwards to allow the operator to see where he or she is working. Zero tail swing excavators can be pivoted without protruding from the ground area of the machine, allowing them to work near walls without the risk of touching them. Walking excavators are equipped with articulated “legs” that enable them to work on steep or rough terrain. Multi-function excavators have an arm with additional joints to increase the range of possible movements and therefore the versatility of the machine. There are also road-rail versions intended for movement on rail networks, amphibious models for working on bodies of water etc. 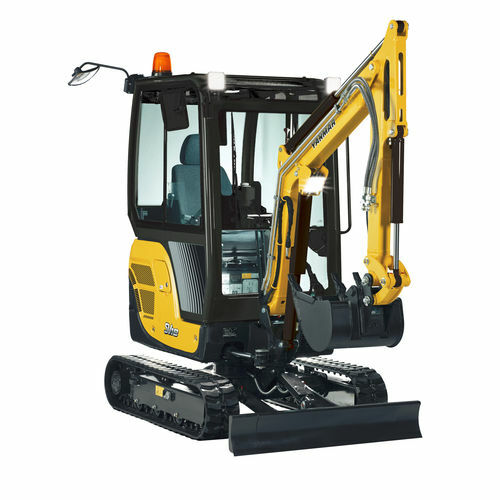 The main selection criteria for an excavator is its size and power. The size of the machine is characterized by its operating weight (we are talking about a 10-tonne excavator for example). 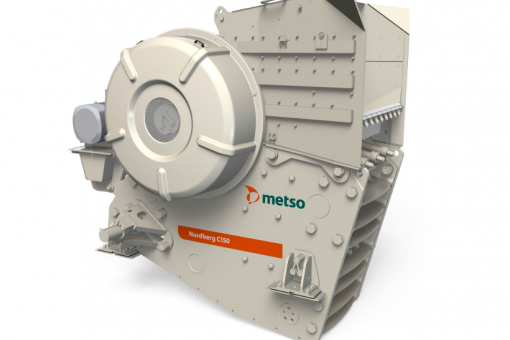 There is a wide range of sizes available, from less than one tonne for the smallest models to more than 100 tonnes for excavators used in surface mining. You must choose an excavator adapted to your needs, a model that is too small might not meet the needs of the work to be done, a model that is too large might be too cumbersome and unnecessarily expensive. The weight of the excavator gives an overall idea of the size of the machine but it is important to ensure that the arm can reach the maximum distance at which it will have to work. 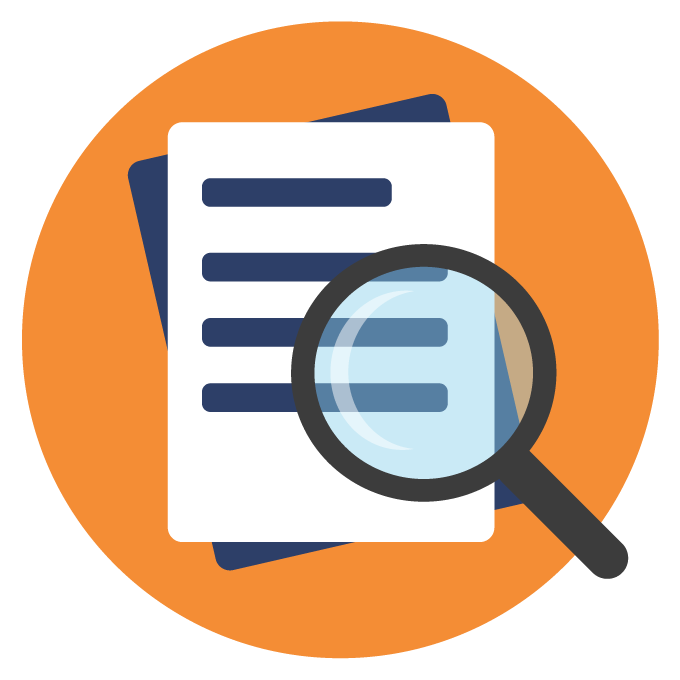 In their technical documentation most manufacturers provide a chart representing the kinematics of the arm and therefore the maximum heights and depths it can reach. Another important factor is the engine power which supplies the hydraulic unit which powers the arm and any tools mounted on it. It is more or less correlated with the size of the machine but can vary, a more powerful engine will be able to carry out more difficult jobs. 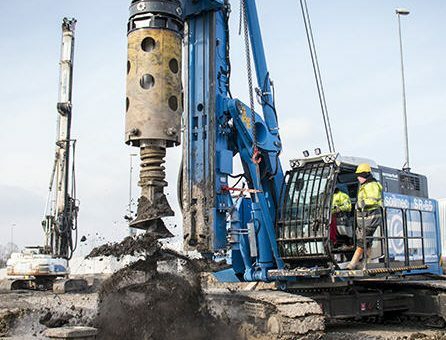 Most excavators have diesel engines, though in recent years we have seen the emergence of some hybrid diesel/electric engines equipped with energy recovery systems. 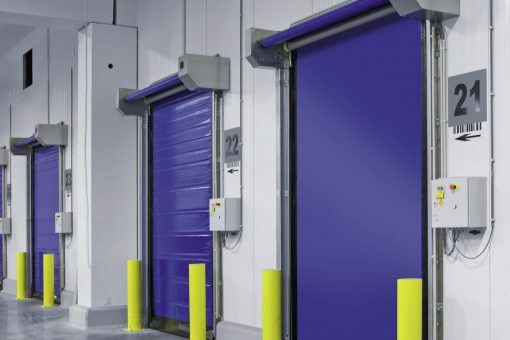 This equipment is therefore subject to the anti-pollution standards in force in the countries where it will be used, the most well-known being the Tier Classification System in the United States and the European Emission Standards. After establishing the main characteristics of the machine you need, the choice of an excavator can be made based on criteria such as the ergonomics of the driving position, the comfort or work assistance equipment or the noise level. You would choose a crawler excavator if the machine has to be used without moving too much in uneven areas or on soft ground. The tracks offer excellent traction and a good mass distribution over their entire contact surface. The spacing and width of the tracks help the stability of the machine, wide tracks are also effective on very loose ground (swampy) but will tend to wear more quickly on harder (and abrasive) ground. On the other hand, the travel speed of a crawler excavator does not exceed 5 km/h, so they are reserved for applications where the excavator does not have to travel frequently or over significant distances. Crawler excavators represent the majority of available models and can reach an operating weight of 980 tonnes (and a power of 3,000 kW) for the largest models used in mines. Excellent traction on soft ground. 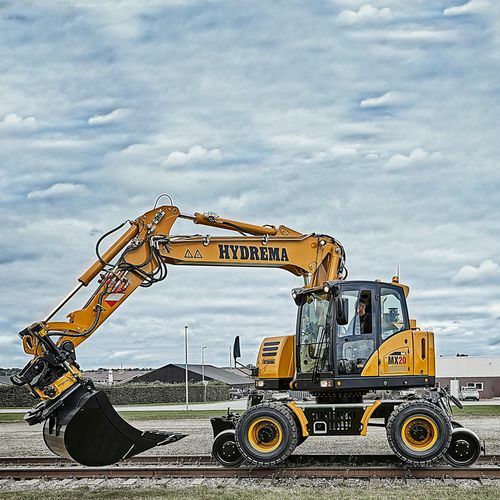 A rubber-tired excavator offers a significantly higher travel speed, around 35 km/h, making it more suitable for applications where the machine must be mobile. 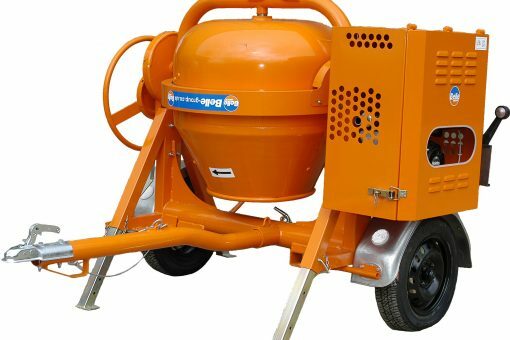 On the other hand, wheels offer less traction than tracks because of their contact surface with the lower ground but they are more suitable for working on hard surfaces (concrete, asphalt, etc.). Rubber-tired excavators do not exceed a working weight of 130 tonnes or a power of 400 kW. < 2,204 lbs Micro excavator This type of excavator can be used for small jobs, in agriculture or in construction, their advantage being that they can operate in very narrow areas, including inside a building. < 13,227 lbs Mini excavator The mini excavator is a compact excavator ideal for digging foundations or earthworks for individual housing, for building a swimming pool or digging a trench for pipes. 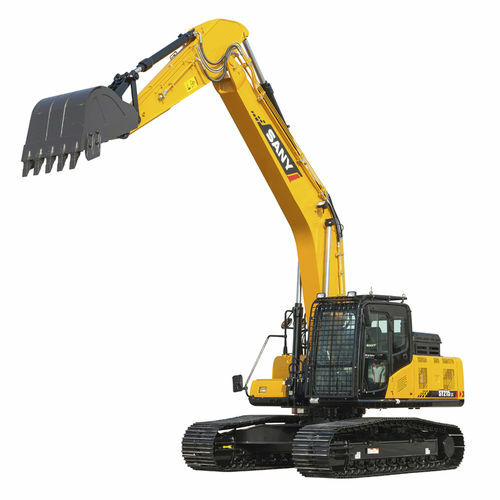 < 22,046 lbs Medium excavator Medium excavators can be classified as mini excavators by manufacturers. They allow for more significant work while remaining not very cumbersome. < 66,138 lbs Standard excavator This mid-sized excavator is suitable for moving earth or demolition work on major construction sites. < 220,462 lbs Large excavator These excavators are mainly used for heavy earthworks or lifting very heavy loads. > 220,462 lb Mining excavator, Production excavator These excavators are mainly used in quarries, for example for ore extraction. 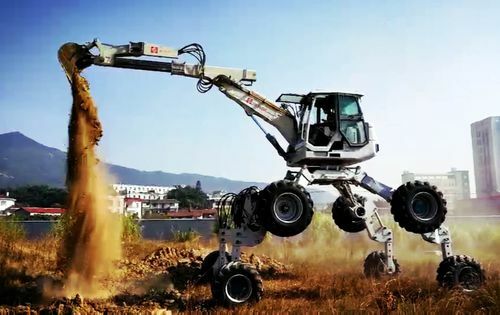 A walking excavator, also called a spider excavator, can be mounted on wheels or not, but is always equipped with telescopic and/or articulated stabilizers allowing it to work stably in very steep areas. These excavators can be used, for example, for acrobatic work on areas with steep slopes or for forestry work in mountainous areas. After the introduction of hybrid-powered excavators a few years ago, a future trend will certainly include the introduction in 2018 of 100% electric, battery-powered excavator models. Without a diesel engine, these excavators have an extremely low operating noise level and a total absence of polluting emissions, making them ideal for urban construction sites.